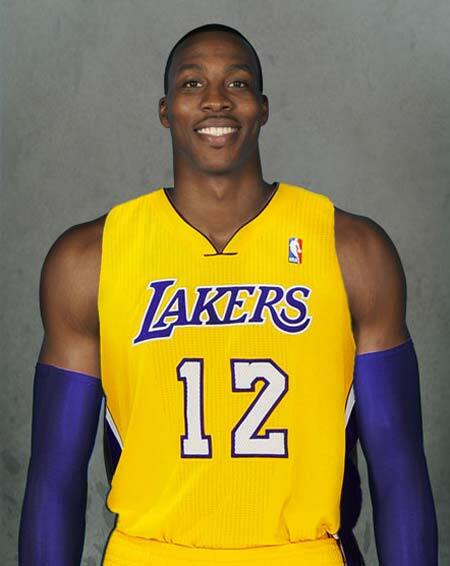 The Los Angeles Lakers are still in “wait and see” mode for newly acquired center Dwight Howard. The team’s official site has confirmed that Howard has begun his rehabilitation, which is “going well” with no setbacks. There is a good chance that he will be ready for the team’s opener. Howard was acquired from the Orlando Magic in a surprise move this summer. Former Laker center Shaquille O’Neal says Howard needs to win the people’s respect before stepping into his outsized sneakers in the City of the Angels. The team also has the task ahead of them of integrating Howard into their system and figuring out how he will play alongside Kobe Bryant, Pau Gasol and Steve Nash. Then again, it’s not all that difficult to learn and fit in on the fly when you’re playing with that much talent on hand. Something tells me the Lakers will be just fine & ready to give the Miami Heat a run for the NBA championship this coming season. In terms of betting on the NBA futures the Lakers went from 10 to 1 down to 3 to 1 to win it all in 2013. Former Kentucky super star Anthony Davis has opted for a professional contract with the New Orleans Hornets which has been recently acquired from the NBA by Saints owner Tom Benson. Davis is only 19 years old, weights in at 6’-10” & 220 lbs. and comes from the University of Kentucky where he stared on last year’s NCAA championship team. Anthony Davis says that he wants to be the Defensive Player of the Year as a rookie. He very well could be just that. The New Orleans Hornets announced Thursday they have also signed second-round pick Darius Miller to a contract. Miller, a 6-foot-8 forward, joins former Kentucky teammate Anthony Davis, who was taken No. 1 overall by the Hornets. Mr.Benson and Hornets new general manager Mickey Loomis have also signed Austin Rivers, the 20 year old sensation from Duke University. Let’s not forget that they also have 6’6” Xavier Henry from the University of Kansas. When you pick your players from traditional NCAA powerhouses such as Kentucky, Duke and Kansas, look out NBA. Tom Benson owns the Hornets now and the game of basket ball in New Orleans will never be the same!